Haas chief designer Rob Taylor believes the American Formula 1 team’s technical partnership with Ferrari is like a double-edged sword. Taylor said receiving non-listed parts from the Italian team saves a lot of legwork, but the downside is Haas has little knowledge of what to expect in terms of concept until very late on. That means Haas has a short amount of time to make the parts work with its car, rather than having had time to plan how to integrate them during the design stage. When asked how challenging it is to concentrate on only certain parts of the car, Taylor said: “It causes its own little problems. “We absorb a lot of information from Ferrari but they only give it to us when they know it so all the parts we purchase, we don’t really have a good visibility of them ahead of time. Normally you’ve got some idea of the concept you’re going to be employing before you ever get to the full-blown design. 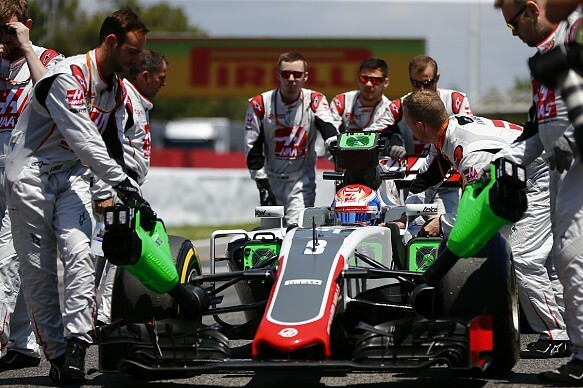 Taylor said the biggest concern for Haas when it receives the parts is whether the team is able to fit them seamlessly. “Our biggest anxiety isn’t to do with ‘Will it fit when it’s finished and installed? '” he said. “It’s ‘Can you get it in there? Can you get your pinkies in?’ The little bit of the front rocker, for instance, is a bit of a tortuous route. Taylor said the relationship is still in its infancy and there are plans being put in place to ensure the situation improves with time. “We are talking all the time,” he said. “There is always a flow of information. Of course it’s a new relationship with Ferrari. Everything’s new – it’s a bit challenging.